Another TVparty by YOU, the TVparty viewer! "The Littlest Angel - this was an adaptation of the book, broadcast on the "Hallmark Hall of Fame" starring Johnny Whitaker of "Family Affair" and Fred Gwynne of "The Munsters". I vaguely remember a scene where all the angels are flying around, talking about what it's like to fly, to the little angel that hadn't earned his wings yet. 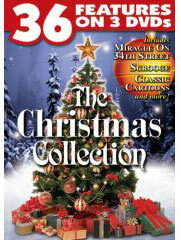 "The Little Drummer Boy - this was shown for years until sometime in the mid-1980's. That was when most religious Christmas specials seemed to disappear. "The House Without a Christmas Tree - starred Jason Robards as a father who had recently lost his wife, so he didn't want a tree in the house at Christmas - but he had a young daughter who desperately wanted one. Late 70's vintage. 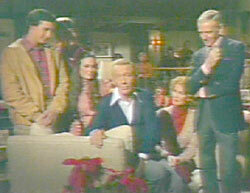 They also had a similar special for Thanksgiving, and of course, that one's not shown anymore either. 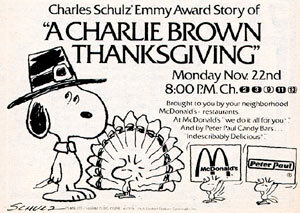 I'd also love to see the old Peanuts specials for Halloween and Thanksgiving again too. "At least they still show How the Grinch Stole Christmas." "First of all I am SO glad that Rudolph, the Red Nosed Reindeer, A Charlie Brown Christmas, and The Grinch Who Stole Christmas are still being enjoyed by new generations. These are classics that should not be tampered with (in other words, don't try to make live-action movie versions of them... whoops, too late on the Grinch!). 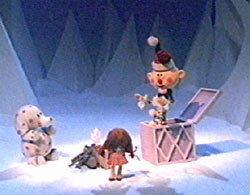 "This website's story of finding "lost footage" from Rudolph was fascinating. My sister and I planned our TV viewing around the specials. We watched just about every Rankin-Bass special there was. "We really liked The Year Without a Santa Claus (the battles between Heat Miser, Snow Miser, and their mom Mother Nature were hilarious). I got teary eyed when the little lamb was run over by the chariot in The Little Drummer Boy. "I was glad to see someone mention The Littlest Angel. I quite distinctly remember the scene when he goes back down to Earth to get his gift for Jesus and kisses and hugs his parents (who can't see him of course but "feel something"). It would be nice to see this again on TV. 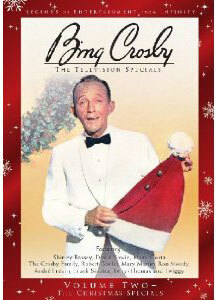 "I also remember watching all those Bing Crosby Christmas shows. My mom and dad would inevitably make a comment about having to listen to Bing's 'untalented kids' sing. "Along with Norelco shaver Santa Claus, who can forget the 'Give him British Sterling' ads with the Renaissance music and the woman riding the beautiful white horse, Kraft sponsored shows where all their commercials were recipes ('to make that clam dip special, use Philly-brand cream cheese...'), and the Coke 'Like to teach the world to sing' jingle." 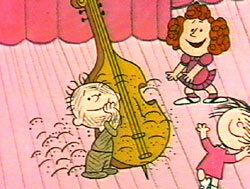 "For all my life, I have watched the 1965 special A CHARLIE BROWN CHRISTMAS every year at this time. There is something about this special that I have always wondered about. "During the closing credits, when the Peanuts gang is singing "Hark, The Herald Angels Sing," the song abruptly fades out before the kids finish singing it, and the picture jump cuts to the THE END title. I understand the reason for this is because the censors are eliminating the original sponsor reference. I hear that, in the early broadcasts the program was sponsored by Coca Cola. It is also my understanding that, originally, the Peanuts gang DID sing "Hark..." all the way to the end, and that, on screen, it said something like "Season's Greetings From your Coca -Cola Bottler." Do you know anything about this?" "Here's the WGBH Boston Holiday Greeting - something I always looked forward to seeing, because it was so opposite their usual very "serious" identification. The year it was recorded was 1985. The voice is David Yves-former general manager of WGBH for many, many years." 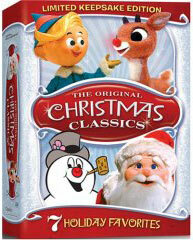 "Aside from the usual classics like Rudolph and Frosty, one of my fondest childhood Christmas memories was an animated version of A Christmas Carol produced in 1971 that aired for a few years thereafter and featured the voices of Alistair Sim and Michael Redgrave. "This was a superbly animated and very creepy version with a very unique Victorian animation style, and I believe it won an Oscar. 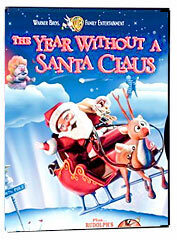 For years I sought it out on VHS before happening upon it on a Christmas compilation video (put out by Good Times) of public domain Christmas cartoons. Now it's a staple once again of my yearly holiday viewing. 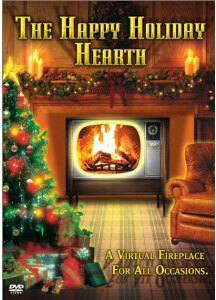 It's not on DVD yet, as far as I know, but the VHS is worth seeking out." 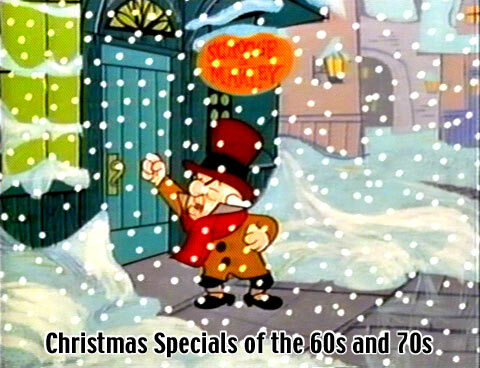 "During the early-sixties Christmas seasons there were two specials that used to be shown (before Peanuts and the Grinch came along). They were done with marionettes and were always shown back to back. "One was the story of the birth of Jesus and the other was The Night Before Christmas. I looked forward to these presentations every season. I got a bonus one year at the TWA kids Christmas party (my dad worked for TWA) - they showed those films (on a 16mm movie projector) for our entertainment. 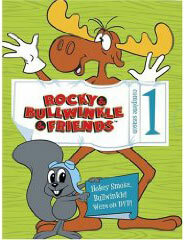 Does anyone else remember these programs and are they available on video tape?" 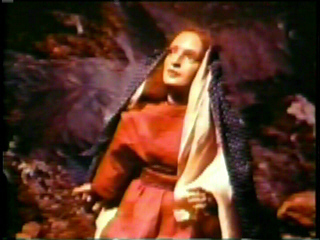 "The story of the birth of Jesus was called THE SPIRIT OF CHRISTMAS featuring the Mable Beaton Marionettes. 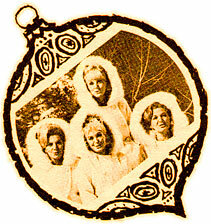 "In Philadelphia, it was broadcast annually and sponsored by Bell Telephone. As my father worked for Bell Tel, I proudly watched it every time it was on. 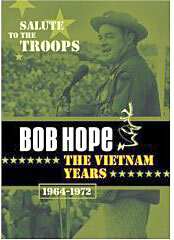 The local PBS station, WHYY, tracked it down years ago and broadcasts it several times each holiday season." 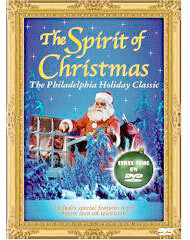 Get The Spirit of Christmas now on DVD! 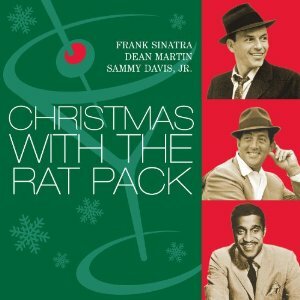 "One of my favorite cartoons was titled Christmas Comes But Once A Year. I believe it was from the Max Fleischer studio, which did Popeye. An old man visited an orphanage who's kids had no presents. He made toys from dishes and other housewares and a Christmas tree from umbrellas. 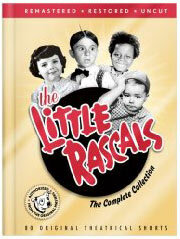 "Also, the Our Gang (Little Rascals) short titled "A Tough Winter." 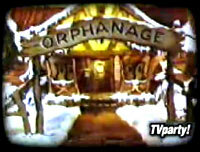 Not really a Christmas story but, since the Hal Roach Studios were in LA, they produced very few snowy, winter shorts. "The WPIX Yule log in NY, The King Family, Little Lulu and, of course, "Santa Claus Conquers The Martians" (with Pia Zadora). Somebody STOP me!! Happy holidays to all." - Mike B. in Deal, NJ. Fleischer and Van Beuren cartoons portrayed the opposite of the happy-go-lucky Disney world view. 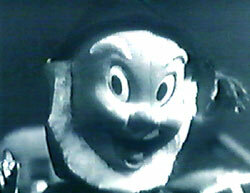 Produced for the children of the great depression, these oddball shorts, like Jack Frost (1934), The Shanty Where Santa Claus Lives (1933) and Christmas Comes but Once a Year (1936), looked weirdly disturbing in the boom era of the fifties and early-sixties when they began showing up on local children's programs. 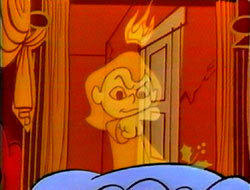 In Fleischer toons, orphans and downtrodden ragamuffins were always magically and morally superior to everyone else. 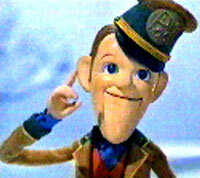 "My favorite Christmas special is 1969's J.T. from the CBS Children's Hour. It's the story about a sensitive young boy (Kevin Hooks) in a Harlem ghetto who befriends a sickly, one-eyed cat (brilliantly written by Jane Wagner). "I'm sure anyone who has seen this will remember shedding a tear when J.T. 's cat is hit by a car. 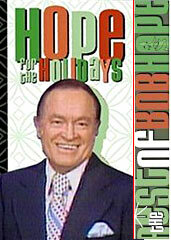 CBS repeated this amazing, heartfelt drama on Christmas mornings in the 80's--but it hasn't been seen since and is unavailable on video." "I was born in (!) 1949, and I was telling my kids about the black and white cartoons that came on at Christmas, that I wish I could get copies of. "They were cartoon-like in length, one was Frosty the Snowman (now all these are the original black & white ones... not the new ones in color), one was Suzy Snowflake, one was Rudolph TRNR, and MY favorite HARDROCK, COCO, AND JOE (Santa's 3 elves). 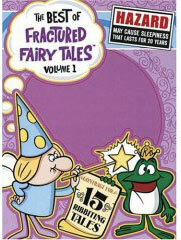 If anyone knows where I can get a copy of these, PLEASE, PLEASE, PLEASE, I'll be forever grateful! B&W...? My kids can't even imagine! *LOL*"
Mitchell Hadley tells us: "Well, as it happens, the Museum of Broadcast Communications in Chicago has now digitally remastered them and has them available at their website (a wonderful resource, by the way, for classic TV fans)." "I have my own web site called the Electric Shaver Page. 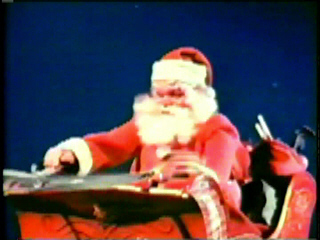 With the holidays approaching, I would like to suggest that you bring back the beloved Norelco Santa riding on a set of floating heads by uploading a classic Norelco electric shaver commercial featuring the stop motion animated Norelco Santa. "This endearing ad campaign was created by American advertising executive David McCall. Tragically, on April 18 of 2000, the 71 year old McCall was killed, along with his 57 year old wife Penny, in an automobile accident in Albania where they were helping refugees from Kosovo. As I mentioned, he created the memorable "Norelco Santa" advertising campaign in which a stop-motion animated Santa Claus rides on a set of Norelco (Philishave) heads while we hear "floating heads, floating heads" to the tune of "Jingle Bells". "He also created the memorable animated educational series from the 1970s Schoolhouse Rock. We'll miss him." The segment looked like Vogue covers from the 20's, just beautiful. Which reminds of another special, 'The Selfish Giant,' done in a very similar style, airing around Thanksgiving. Finally 'The Night the Animals Talked' maybe ran a few years in the early 70's... would love any more information on that one if it's out there. 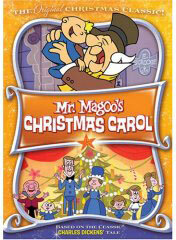 "I don't know if anyone mentioned these as Christmas specials, but my faves (aside from Charlie Brown and Rudolph) were Mr. Magoo's Christmas Carol and the Jackie Gleason Christmas Special. "The latter I remember only airing once or twice, unlike the others which have been running every year since time immemorial. I remember the Jackie Gleason special was just enchanting- the Poor Soul goes through all these fairy tales and nursery rhymes. I especially remember Little Bo Peep, and the lamb's tails hanging on a clothesline. I haven't seen it in years, no one seems to broadcast it anymore. What a shame! I loved the Jackie Gleason show as a kid, but that special was just our favorite." 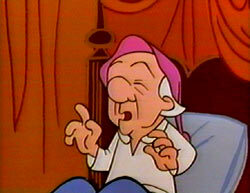 Mr. Magoo's Christmas Carol is one cartoon that had the quality of any Broadway show ever written. As a matter of fact, I bet it could go direct to the "Legitimate Theater" using the very same book and music that was used in the cartoon. The plot and songs stand up very well. "Still trying to find out how to make 'Razzle-Berry Dressing,' though. "I can't believe nobody's mentioned the Andre Cold Duck ads featuring the 'clinking' of the glasses to 'Carol of the Bells' (ring ding-a-ling, 'clink' ding-a-ling, ring ding-a-ling... etc). "Also: Perry Como's 'Christmas in - (fill in the blank)' series where he always seemed to be surrounded by happy singing local children, no matter what their living conditions." 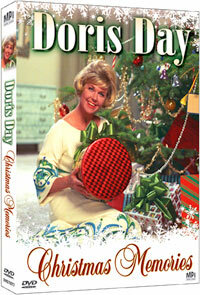 We've compiled a catalog of classic TV holiday specials on DVD! 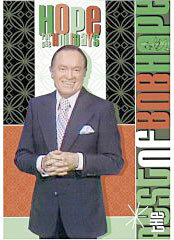 This is a wonderful animated CBS Network Christmas Greeting from the early seventies - do you remember it? It ran for a couple of years and a sequel was produced in 1974. Would a network give over 60 seconds of ad time for a holiday greeting today? I think not. More fantastic, nostalgic moments from Christmas' past! Wildest Dreams - Now on Sale! 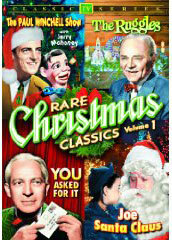 Classic TV Christmas Specials on DVD! TVparty! 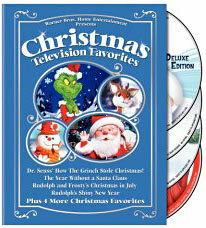 presents a comprehensive list of the best Holiday TV specials currently available on DVD - the ones you grew up with! They're hard to find! 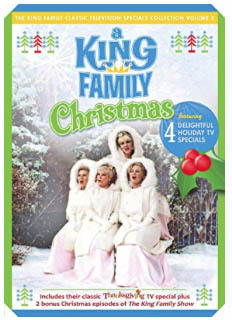 Just click on the titles below to order now through Amazon.com - and you could have your favorite Holiday specials delivered by tomorrow morning! All of these DVD collections are massively discounted - with prices much lower than you'll find in the stores - no sales tax - and free shipping is available! You're saving money - big time! Here's a list of every classic TV series on DVD! 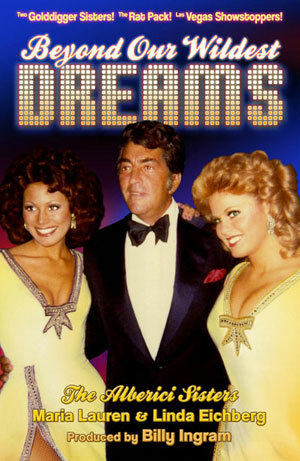 "I grew up in the fifties when most of these shows were pioneering the way for future sitcoms. 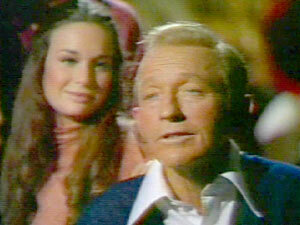 "My favorite TV Christmas memory was of an early "I REMEMBER MAMA" show that was on every year. Mama and Papa explained to Dagmar, their youngest daughter, that on Christmas Eve the animals would be able to talk. Young Dagmar goes out on the back porch and waits all night for the animals to talk. I don't remember any more than that, but I have been looking for that episode on video and am unable to find it. "Thank you for the memories of a bygone era where family values were important and people seemed to have more fun and time for each other." 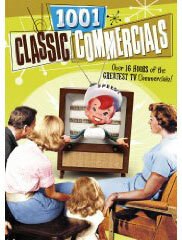 Classic TV Commercials / 1950's TV / 1960's TV / 1970's TV / Groucho vs William F Buckley / TV Games / Honey Boo Boo / Lucy Shows / Classic Cars / John Wayne / Gene Roddenberry / Rockford Files / Sea Hunt / Superman on DVD / Toy Gun Ads / Flip Wilson Show / Big Blue Marble / Monty Hall / Carrascolendas / Mr. Dressup / Major Mudd / Chief Halftown / Baby Daphne / Sheriff John / Winchell & Mahoney / Fireball X-L5 / Mr. Wizard / Captain Noah / Thanksgiving Day Specials / Disney's First Christmas Special / Saturday Morning Cartoons / The Magic Garden / Amahl & the Night Visitors / Holiday Toy Commercials / Lucy & Desi's Last Christmas Show / Joey Heatherton / Fat Albert / The Virginian / Bewitched / Death of John Wayne / 1974 Saturday Mornings / Chuck McCann / Rudolph Collectables / Shrimpenstein / Local Popeye Shows / New Treasure Hunt / 1966 ABC TV Shows / 1967 TV Shows / 1968 TV Shows / Ric Flair, Dusty Rhodes & Baby Doll / Fridays / TV Moms / Red Skelton / Star Wars / KISS / Lancelot Link / Saturday Morning Cartoons / The Magic Garden / Wonder Woman / Classic Comic Books / Andy Griffith / Cher / TV Shows on DVD / Outtakes & Bloopers / 1967 TV Shows / Romper Room / ABC Movie of the Week / The Goldbergs / Daws Butler Commercials / Saturday Morning Commercials / Captain Kangaroo / Chicago Local Kiddie Shows / Boston Local TV / Philly Local TV / NYC Local Kid Shows / Amos 'n' Andy / Electric Company / Bette Davis / Judy Garland / Christmas Specials / Redd Foxx / Good Times / Sitcom Houses / What's Happening! / Winky Dink & You / Sonny & Cher / Smothers Brothers / Commercial Icons of the 1960s / Soupy Sales / The Carpenters / Route 66 / Bozo / The Carpenters Christmas Specials / Local Kid Shows / Death of TV's Superman / Wonderama / Sesame Street / Bob Hope Specials / Little Rascals / 1980's Retro Gay T-Shirts / 1980's TV Wrestling / Fess Parker / Howdy Doody / TV Blog / Lost In Space / Pinky Lee / 1980's LA Punk Rock / Alex Toth Book / TV Terrorists / Irwin Allen / The Untouchables / Carol Burnett Show / Batman TV Show / Green Hornet / Today Show History / Our Gang / Doris Day Show / 1970's Commercials For Women / Bill Cosby in the 1970s / The Golddiggers / Lola Falana / 1970s TV Shows / David Bowie on TV / Hudson Brothers / Jackie Gleason / Hollywood Squares / Match Game / Bob Keeshan / Gumby / The Flip Wilson Show / Glen Campbell Goodtime Hour / The Bobby Darin Show / The Richard Pryor Show / George Burns / Lucy's Lost Christmas Special / Classic Christmas Toy Commercials / Cricket On The Hearth / 1950's Holiday Shows / Amahl and the Night Visitors / A Christmas Carol on TV / The Yule Log / Celebrity Commercials / Rudolph / Movie Posters & More!